If you suffer from anxiety, there is a good chance that you may also suffer from paranoia. If you suffer from paranoia, there is a good chance that you may also suffer from anxiety. However, just because you have one, does not necessarily mean that you have the other. While they can go hand-in-hand, it is not always the case. 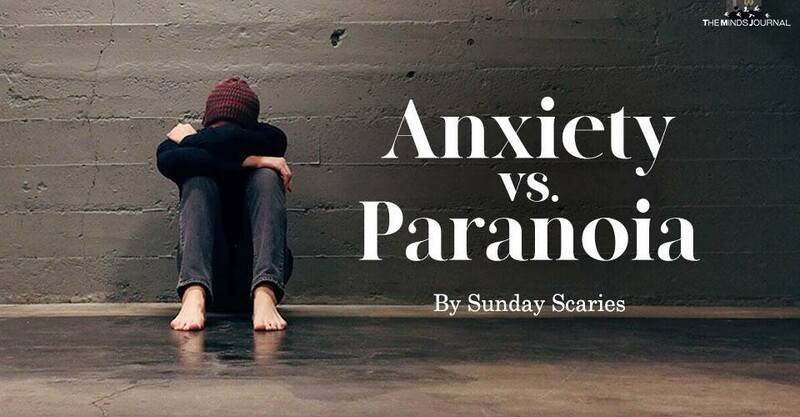 However, before you can understand in which ways paranoia and anxiety are similar, you must first understand why there are also quite different. Paranoia is characterized by intense, fearful feelings and is often related to thoughts of conspiracy, persecution, and threats. While often occurring in many different mental disorders, paranoia is often not present in several psychotic disorders. With paranoia, irrational beliefs and paranoid thoughts are made out to be real and absolutely nothing—not even factual evidence disproving the belief is able to convince you that you are wrong. When you have delusions or paranoia without other symptoms, you may have something known as a delusional disorder—and could ultimately lead to a nervous breakdown. As only your thoughts would be impacted with a delusional disorder, you will still be able to function and work in your everyday life. Outside of work, however, your life could be isolated and extremely limited. Paranoia is caused by a breakdown of different emotional and mental functions. Those functions involve both assigned meanings as well as reasoning. While there is no real reason known for the breakdowns, they are extremely varied and uncertain. At the same time, there are also several symptoms of paranoia that are related to denied, projected, or repressed feelings. What is known about the cause of paranoia, however, is that it is often the feelings and thoughts which are related to relationships or certain events in your life that cause the problem. Since these events are typically more personal, this is often the reason why those who suffer from paranoia prefer to be isolated and have increasing difficulty when it comes to getting help.